Why don't we have #blacklivesmatter in Australia? Why isn't there a #blacklivesmatter movement in Australia? Scrolling through my Facebook feed, Twitter feed and email inbox, I’m seeing and reading a lot about the #blacklivesmatter movement in the US. In case you missed it, it’s a push back against the daily and disproportionate violence against black people in the US. Everyone from celebrities (Kanye, Beyonce, Jay Z) to normal people ordering their Starbucks under the name “BlackLivesMatter” so that baristas call it out, have pushed the movement into the nation’s conscience, to a point where it’s now a large and vocal modern civil rights movement. It&apos;s filtered into the Australian psyche, too. To a point where it&apos;s expected that over 5000 Melbournians will take to the streets this weekend to support the movement, in a protest outside the State Library. So here is the question: Why don’t we have Black Lives Matter movement in Australia? When Adam Goodes gets called an ape on the football field, we get riled up, we write op-eds, we wring our hands over the undercurrent of racism in this country - absolutely, it&apos;s an important conversation to have. But are we missing another conversation? A difficult, complex, sad and fraught one? An unpopular conversation; filled with questions that seem to hard? Conversations about Aboriginal deaths in custody, rates of family violence, desperate poverty, drug and alcoholism, the alarming rate of Indigenous suicide here. I don&apos;t claim, as a white woman, to even begin to understand the depth and scope of problems for Indigenous Australians. So I rang Tauto Sansbury, a Narungga man whose been working in advocacy for aboriginal people for over 30 years. I asked him, straight up: "Tatuo, I’m a white middle class woman, do I even dare speak about this? With no understanding and no answers and no idea how to help?" And he said really plainly: “Well, do you CARE about this as an issue? " "If you do, then yes. You can talk about it. And you should." Over 20 years ago there was a Royal Commission into Aboriginal deaths in custody. When the report was released in 1991, Aboriginal people were eight times more likely to be imprisoned. They’re now 15 times more likely. In Australia, just three per cent of the population is Indigenous, but they make up 27 per cent of the prison population. Aboriginal women make up the fastest growing prison population here. The Royal Commission made 339 recommendations for reform - most of which Tatuo tells me have not been implemented. There’s been a substantial increase in the numbers of Aboriginal people dying in custody in the last five years, and a confusing google search (the information not easily discoverable) tells me 340 have died since the Royal Commission. If we added to that the number of Indigenous women killed from family violence, the numbers of criminal justice related deaths would be higher still. Did you know children as young as eight years of age are suiciding? In WA, Indigenous suicides are eight times the national rate. These are all facts that barely register with the public. There’s currently a change.org petition calling for a Royal Commission into Aboriginal and Torres Straight Islander suicides that has around 20,000 signatures. It&apos;s not on the homepage, you&apos;ll have to search for it. And in doing so, you might see that there is double the support for a Domino&apos;s pizza petition on there. I know Australian history and American history are not the same, but, we do have a problem and those problems need to be broken down. 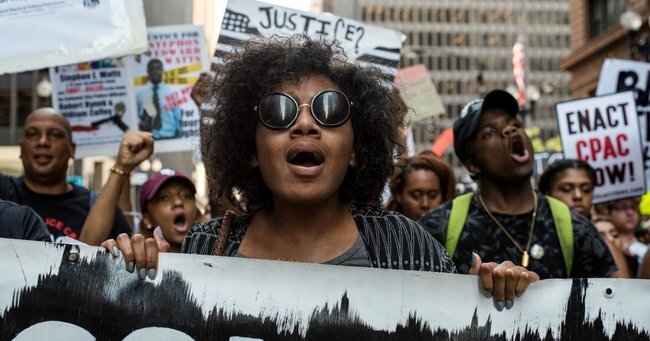 Will there be a black lives matter movement in Australia? Or are we, as a society, not ready to have that discussion?